We all know that there's nothing that tastes better or is better for you than fresh, locally-grown veggies & fruits! With Summertime here and all the local Farmers putting out their best bounty, who can resist a sweet ear of corn (done on the grill, of course, to get out of the kitchen) or big, juicy tomatoes of all colors? The possibilities are endless this time of year, not to mention SO good for you! The Berlin and the Ocean Pines Farmer's Markets are both well stocked with goodies for your grill and your dinner plate. 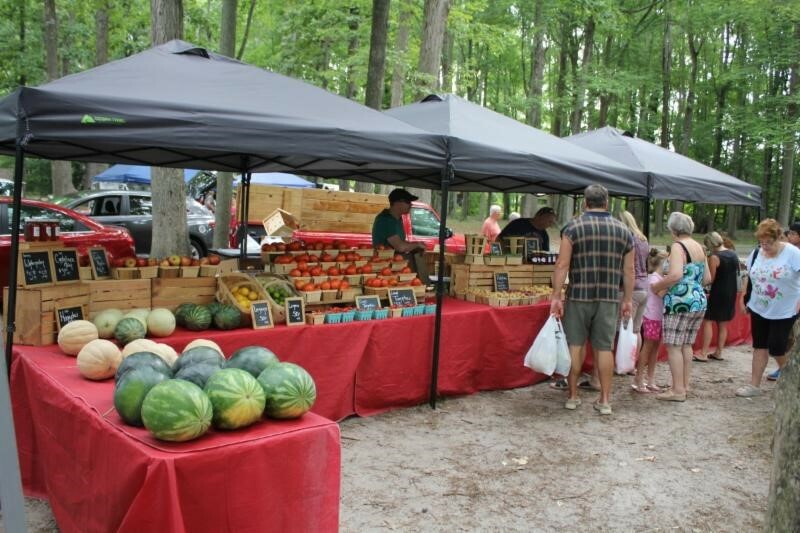 Visit the Berlin Farmers' Market on Fridays between 10 am & 3 pm year round (Note: They have moved from their original location on Main Street and are now located behind the Berlin Fire Department on Main St & Harrison Avenue) or stock up at the Ocean Pines Farmers' Market at White Horse Park on Saturdays from 8 am to 1 pm! And, of course, don't forget about the Ocean City "Shore Fresh" Farmers' Market located at 142nd Street & Coastal Highway open on Sundays, Tuesdays, Thursdays & Saturdays from 8 am to 1 pm! If you love fresh, sweet, buttery corn on the cob, here's a fantastic tried & true recipe : Shuck some corn & rinse. Have about 2 green peppers & 1 sweet onion chopped up small. Take a piece of foil for each ear, place the cleaned ear of corn on the foil, coat with melted butter & spoon a couple spoonfuls of the green pepper & onion mixture on each ear. Wrap up in the foil & grill til the foil looks black - about 10 - 15 minutes - or maybe a little longer depending on how hot your grill is. Your corn inside won't be burnt - it will be perfect! If you prefer, you can omit the peppers & onions & just butter it up inside the foil. Either way, it is most delicious and SO very fresh! With August in full swing, it's always a good time to think about getting your own place here at the Shore. Whether you are thinking Ocean City, Ocean Pines or maybe a little place of your own out in the country, life here on the Eastern Shore is nothing short of idyllic! What better time than now to start the search for yours? I would love to help you to find your special place right here, right now! I feel so lucky to live here on the Eastern Shore! It is absolutely the best of both worlds! And this recipe sounds so yummy - makes me want to cook out like right now! Think I'll have to this weekend!